NHS Barking and Dagenham CCG, NHS Havering CCG and NHS Redbridge CCG have signed a one year contract for the Medical Interoperability Gateway (MIG). 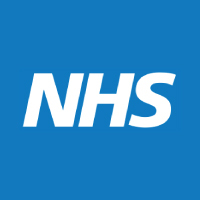 They will be using the Detailed Care Record service to feed GP patient data and the Journal View Dataset into Barts Health Trust’s Cerner portal. This will provide clinicians with a single point of access to two million patients around the clock. The CCGs are part of the East London sustainability and transformation partnership (STP) along with Tower Hamlets, Newham, Waltham Forest, City and Hackney CCGs who are also MIG customers. 26 of the 32 (81%) London CCGs are now using the MIG. “This contract demonstrates the maturity of the MIG technology over the last six years having initially started with Newham and Tower Hamlets CCGs. The MIG now provides real time connectivity between healthcare settings across the whole STP, which will enable cross border sharing across neighbouring STPs. This strengthens the MIG’s place as the most efficient and cost effective interoperability solution today and we are delighted that the vast majority of the London CCGs are using Healthcare Gateway and the MIG to mobilise rich patient data in a variety of clinical settings” Liam King, Director of Commercial and Customer Experience, Healthcare Gateway. For more information about the MIG services please email us or call 0845 601 2642. You can also request a quote online or book a webinar with our team to find out more about the functionality of the MIG.